Its Friday already and its been a bit of a crazy week here on the homestead. Not because of the farm, it’s just steady as she goes there but because hubby is extra busy at work.. Once again he worked overtime hours on the weekend and during the evenings and he was on last bus a few times plus yesterday on Friday, he could not even make the bus, he had to get a taxi chit to get him to the commuter parking lot. Add to this that it would appear that he will be traveling at some point this month for work as well. It just means that I have more time alone on the farm (not a bad thing for getting things done really) but for things that require hubby’s help (two people jobs) we are having things happen slower than I would like while getting ready for winter. So Hip Roof Barn did a post on the fact that its smoke alarm safety month, a reminder to check your smoke alarms, change your batteries and if your alarm is older than 10 years to replace them. 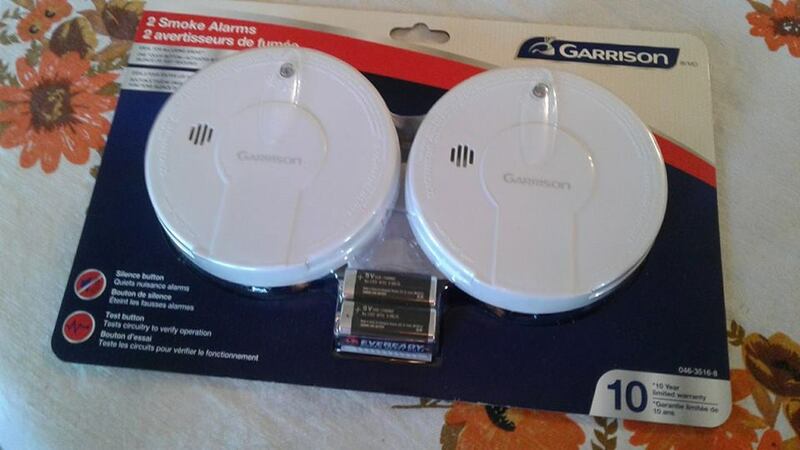 While my smoke alarms are working when tested, two of them are 14 years old, so I decided to do both 🙂 I have gotten a two pack of new ones (that have a 10 year warranty) to replace the oldest ones but I am not going to waste the older ones. They just got moved to a new area in the house.. So I meet the challenge to replace over ten years in age, but I also did not add waste and will continue to use the older ones till they no longer test as working. So I will ask my readers to do the same.. Please check your smoke alarms and if you can’t honestly say when was the last time you changed the battery, consider putting in a new one. Ottawa Tornado (all SIX of them) hit one month ago and yesterday they said something on the news that caught my ear.. For those that had insurance (and lots of folks did not) it was the largest natural disaster that has to date been listed as costing the insurance companies 300,000 Million dollars. This is considered to be the most costly Climate “event” in Canada to date. The province says they will give a certain amount of money to those that did not have private insurance. I am grateful for that current program so that everyone will get at lest something to give them a hand. I think it just now starting to really sink in for many folks.. that it will not be done in a day, a few weeks or even a few months.. that it will be years for many if they even rebuild. Some will move on to a new place, a new home, a new community.. many will not.. they will stay.. they will rebuild in place. Either way it will not be the same.. 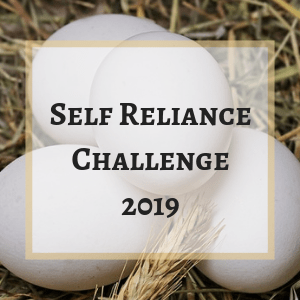 It got me thinking a lot of “being prepared” and I am big on being prepared, having water stored, having a way to get more water, having a pantry, having a good amount of food in many ways put up, in having extra’s.. Extra fire wood, backups on ways to heat/cook, extra boots/extra jackets. Extra 2 by 4’s and extra sheets of plywood and so much more. Just in case.. Just in Case! Adapt in place.. It hits a cord for me.. now don’t get me wrong.. we all need to be flexible enough to know when to fish or cut bait.. movement in life is critical. When you are told to get up and move.. MOVE.. be it fire, be it storm, be it a hundred other things.. Goodness knows I have moved enough in my life to understand that. However no matter if you are staying or if you are dealing with the effects of moving.. you still need to adapt in place.. No matter if it’s just shrinking buying power or if its reduced work hours, or health related issues or XYZ..
At least so far, for most of us and I think for those that read this blog, we are still either treading water or we have our heads well above water. It’s about how you are going to deal with what is happening, all the little things that are adding up. Lets just stay with total basic’s right now.. Food Costs, Power costs, Heating Costs. Have you noticed that the basics costs are having small but very real steady increase costs while the “extra’s” are so cheap, you can buy “distract items” at lower and lower costs. I will warn now that I will be coming back to this idea.. But like always, I want to also keep it moving forward, keep it active.. So here is my question for you? What is the one thing you are feel you are working on right now that is helping you Adapt your life at the moment? Is there something you are changing to give you more flexibility in a different area? Our focus this week has been about prepping the house for the coming cold, we are taking steps and investments to increase our ability to remove drafts/build more insurance in keeping the heat in our home. The weekend will be spent on projects related directly to this. So let me know one thing you do to help reduce your heating costs or one thing you do to the house or barns to help with keeping the cold out and the warmth in. Great post, and not only because you mentioned my post 🙂 and aced the challenge to check your smoke detectors! Reusing your old ones instead of throwing them out was a great move! Like you, we are doubling down on getting our home ready for winter. We live in a very drafty house and this month’s pay cheque has been spent so we are forced to be creative. I agree with you 100% about the ability to adapt. According to Charles Darwin, it is our ability to adapt, not our strength or intelligence, that improves our chances of survival. I am hoping to improve our adaptability by researching our Plan B to see if it is a viable option as The Man and I are not getting any younger. In the short term, I have been on a cleaning spree these last couple of weeks. Getting rid of useless crap and being able to see what I actually have means I can more readily evaluate what tools I really have. I was also going to say that, in terms of needed to evacuate, putting things away where they belong and having all my laundry done means that I could grab what I need when I need it. At least that’s what I tell myself when I’ve got a pile of clothes to fold and put away :). Sorry for the novel, guess I am feeling a little chatty this morning. Have a great day! Nothing wrong with chatty 🙂 I have a load or two to fold as well, I have been enjoying the well being at winter fullness and so I have been doing “extra” laundry. I hear you on the going though things, I have about pulled my hair out at times in the past six months trying to figure out “where” something was put away during reno’s an what tote it is in and which storage area.. I really need to go though things but that is a winter project when I can’t be doing the outside things. As you know, we moved to a smaller place, on a very lovely island, with the plan that we would work part time for 7yrs until Leo’s Uk pension kicked in. Leo being very seriously ill this year was not in the plan, it wasn’t part of the preps. We had water and food and firewood and tons of other stuff but not deep enough resources for long term illness. He is recovering but we have recently accepted that he wont be working at much of anything for a while to come, and are reluctantly applying for govt benefits. Being in a small community helps, neighbors share fish and produce happily, I make jam and baked goods in return. One neighbor who only holidays here just gave us a whole tree he felled and didn’t want. I was lucky, my employer was really good about me taking time off and has also offered Leo some very part time work on his water truck. I am so glad we moved to a real community before this happened.Having a small,single storey home, with a ramp entrance as been a help. These things just wouldn’t have happened where we were before, and trying to pay a mortgage on top of everything else would have been impossible. Prepping now for a house that works when your mobility declines or your health deteriorates may be money well spent for some. We are working on securing the home and outbuildings against winter weather, so the things we need are well protected. Hi Nicola, I am so glad that Leo is on the mend, but also totally understand that health issues can and do make a major personal SHTF moments in ones life. I am glad that the move and the community as well as those you work with have been so good with both of you.. Bless them all. I know that it meant a world of difference to be able to call (well, I called for a referral number) and had help that was able to get done in two days with a much reduced cost then any other way.. to see those trucks, men and equipment pull in my drive way to help with the storm damage was amazing and heartwarming. I got a real understanding moment in regards to dealing with mobility issues with both my own mother and with my mother in law visiting.. What was very interesting to both hubby and I was, we had been planning on adding on a main bedroom off the kitchen.. it would mean at least 30,000 to 40,000 dollar investment overall on the house.. we put a bed in the “massive” living room and I finally went huh.. why would we need to build something so big and new, when for a couple thousand max, we could re-order our huge living room into a nice small bedroom and a perfectly fine living room for two people.. I already struggle to keep up on the house and that would still leave both bedrooms available upstairs in the old part of the house.. This has been a year of big changes – with me being home, things have got sorted, tossed, recycled, repaired. Any new projects were designed to make things easier for us as we get older (we’re both 55, not ancient – but our level of oomph is not what it was years ago). The biggest thing I accomplished this year was dealing with my health. When I finally left my job – I had gained 40 lbs in 15 years, my blood pressure dictated I start medication, and on a random blood work I discovered I was on the verge of type 2 diabetes. I realized that being out of shape/unhealthy wasn’t in line with any kind of self sufficiency/take care of ourselves plan. I decided it was time to give my health the same attention as I do my livestock, my garden, my bees etc. I’ve lost 25 lbs, I’m off the BP meds, my A1C is fine – I joined a CrossFit gym. It’s hard. It takes a lot of willpower to make myself go there. It’s an extra expense – but what is the cost of illness? So…..I’m considering my better health part of my preparedness plan – tho others might not look at it that way. That’s the thing….I was gaining two or three pounds a year – seemed like no big deal until you realize fifteen years has gone by. My daughter is a paramedic- she sees it all. She never nags at me, but points out that the older I get the more difficult it will get to make big changes – physically ones body can’t handle it. Her dad, who lives with her – has several health issues – and is 65 this year. She limits him to walking (not running) on a treadmill and encourages his gardening/light yard work hobby. He could not manage on a farm – I was starting to get concerned as to whether I would be in the same predicament. Interesting how a goodly portion of the comments are about adapting to getting older, 🙂 which is also something both Mrs Widds and I are focusing on. I turned 60 this year and she, 69. Spring chickens we ain’t! … but mostly we’re looking at each task and rather rely on using up energy we don’t necessarily have, or can afford, we deconstruct it and figure out how it can be done differently and project that into the future as well. How will we do the task in ten years, twenty? Is it something that we don’t even need to do anymore? What is the cost, in both energy and financial between doing it ourselves and paying someone else to do it? You know, you are right.. it is something we all grasp and are working on a combo of health and a combo of how can we keep things lower cost but at the same time get the job done. if you would have asked me five yers ago if we would be doing it by hand or hiring, I would have said by hand, but this yesterday I looked at a ditch and went instead of going, well I will need to hitch the horse and work on that for hours, I thought when the hi-hoe come for the backfill on the rain garden, I am going to get him to ditch the ditch line out at the same time..